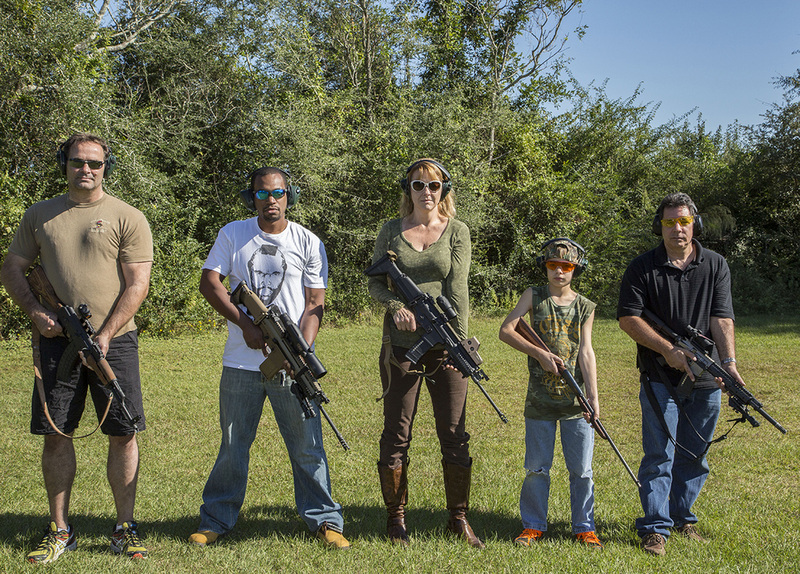 Welcome to Let’s Go Shoot, the most unique and exciting group shooting experience on Northwest Florida's Emerald Coast! Let our team of experienced coaches introduce you, your family, and your friends to up to three hours of intense shooting fun. During that time, you will fire hundreds of shots using a variety of handguns, rifles, and shotguns. All you need to bring is yourself – everything else is provided, including ammo. First-time shooters, veteran shooters, it doesn’t matter – NO EXPERIENCE NECESSARY! No matter which shooting package you choose, there will be plenty of fun - enough to go around for all. Do something truly unique on your Destin vacation! Bring your cameras so you can show everyone what type of firearms you had “trigger time” with! Contact us for information on group events, such as birthdays, retirements, executive retreats, or corporate events. Break the mold and have an experience you will never forget – one that you will talk about for years to come. Come shoot with us. Let’s go shoot! Follow us on Facebook for useful tips, updates, and other info!